Lactobacillus acidophilus is a strain of bacteria that is recognized as one of the primary "good" lactic acid bacteria in the healthy GI tract. 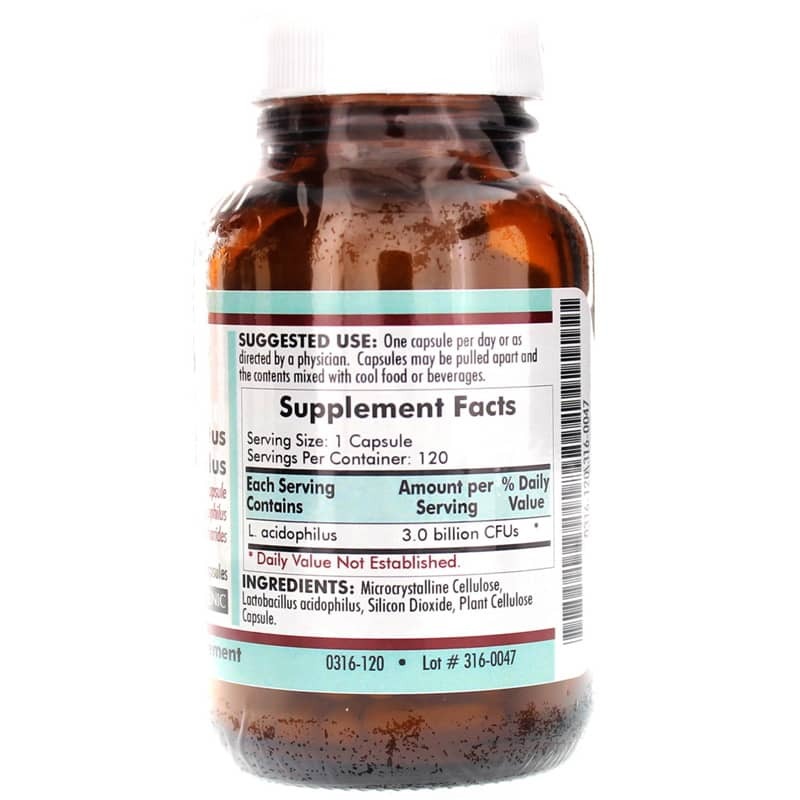 Research continues to show that it provides health benefits by supporting the immune system, colonizing the intestinal tract and controlling occasional bowel issues. It is commonly taken in supplement form for occasional diarrhea and constipation. 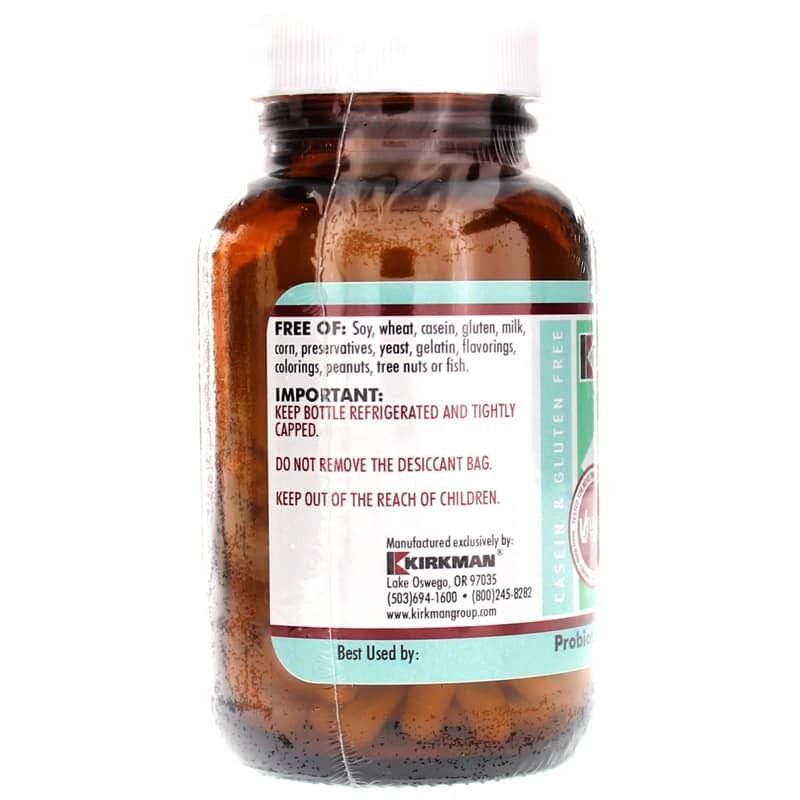 Kirkman offers a hypoallergenic probiotic supplement called Lactobacillus Acidophilus that provides 3 billion CFUs of this friendly bacteria per capsule. These capsules may be pulled apart to mix contents with cool food or drink. This formula does not contain gluten, casein, soy, wheat, corn, milk, fish, yeast, gelatin, peanuts, tree nuts, flavorings, colorings or preservatives. 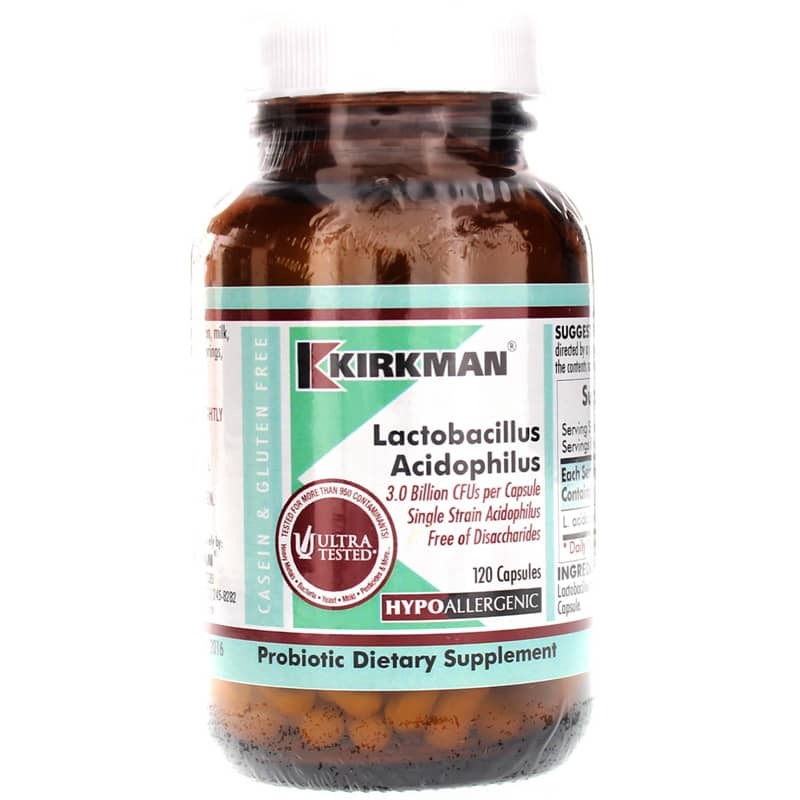 If you're looking for a hypoallergenic probiotic supplement that contains single strain acidophilus, check into Kirkman's Lactobacillus Acidophilus. Order online today! Ingredients: Microcrystalline Cellulose, Lactobacillus acidophilus, Silicon Dioxide, Plant Cellulose Capsule. Contains NO: Soy, wheat, casein, gluten, milk, corn, preservatives, yeast, gelatin, artificial flavorings, artificial colorings, peanuts, tree nuts or fish. Inulin Free. Adults: One capsule per day or as directed by a physician. Capsules may be pulled apart and the contents mixed with food or beverages.